The Creative Fire team is adamant about giving back to the community, and we do that through giving of our time, expertise and skills to community organizations and non-profits. While this isn’t a complete list of those who we have worked with, it includes many of the organizations we are most passionate about. We have supported the Crossroads Women’s Shelter, a service of the Community Action Agency, by documenting and sharing the raw stories of those who have used the shelter as a resource in the community. These stories are presented at an annual fund-raiser and help contribute to annual fund-raising. This year we helped this Siouxland veteran’s organization promote their big annual fundraiser PT With the Troops, documenting and sharing the stories of those who have served our country, and promote the event via social media, both before and after the event. The video stories helped contribute to the group’s annual fund-raising. Thomas Ritchie helped found Startup Sioux City as a way to promote entrepreneurship, startups, small business and relevant events in Sioux City and the region. We support Startup Sioux City by being entrepreneurial cheerleaders for all startups and small businesses in Sioux City, as well as keep up the website and social media channels. Thomas is secretary on the organization’s board. TCF Founder Thomas Ritchie helped start Wire Me Awake, an entrepreneurial conference in southeast South Dakota, to help promote entrepreneurship and business innovation in northwest Iowa, southeast South Dakota and northeast Nebraska. Speakers have included Frank Fritz, of the American Pickers TV show, Jenny Blake, author of “Life After College,” and author Adam Carroll, among many others. We’re huge music fans, and that means we love to help make one of Siouxland’s great live events even better by donating our time. We built their website, and help manage annual social media initiatives for the huge event. This past year’s event welcomed headliners Joss Stone and Trombone Shorty. Thomas Ritchie for two years helped lead the Chamber’s Siouxland Social, a semi-monthly brown bag lunch and roundtable about social media trends and best practices. 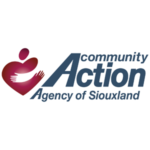 Additionally, Thomas helped organize the second Siouxland Social Media Conference in 2012.